Annette D. Schanen, 64, ofNorthwoods Road, Town of Port Washington died peacefully with her family at her side on Saturday, February 14, 2009 at her residence after a brief battle with cancer. She was born on September 17, 1944 in Saukville to Robert L. and Anita VandeBoom Bell. She grew up on the family farm, attended Immaculate Conception School and Port Washington High School. She received her beautician license and worked at the former Curly Glen Salon in Port Washington. On August 5, 1967 she married Donald L. Schanen of Port Washington at Immaculate Conception Church. She continued to style hair for many over the years while raising her family of seven children. 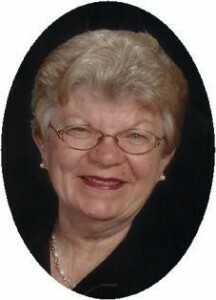 She also worked at Ozaukee High School Food Service for over 16 years, retiring in 2006. She was very active with her church, her faith and especially her community. A life long member of Immaculate Conception Catholic Church, she most recently would be seen as a communion steward, Eucharistic minister and minister of the word. She was involved with the Catholic Order of Foresters, Catholic Knights and especially the Schoenstatt Movement of Waukesha. She valued her faith and devotion. She would often share with others with her self, her time and her abilities. During Hurricane Katrina, she with members of surrounding parishes, traveled twice to Louisiana and Mississippi to help those in need. She and her husband had been diocesan leaders for the Schoenstatt for over six years and had been a youth foreign exchange sponsor. Family and her children were most important to her. She was the family seamstress, making clothes for her children as they grew; Halloween costumes and drapes as they established their own homes. She enjoyed sharing of herself with the many crafts she became involved in. Everything from cake decorating through the Shamrock 4-H Club, knitting, crocheting, cooking, canning; all received her special touch. She and her husband always supported the children in there many endeavors, both academic or sports, even traveling to them throughout Europe, Central America or the United States. She will always be remembered for her infectious smile and friendliness; she valued to be stylish and fashionable. She is survived by her husband Donald, her children Amy (Scott) Jentsch of New Berlin, Ida (Mark) Umentum of Green Bay, Rene (Kevin) Parker of Fredonia, James (Victoria) Schanen of Minneapolis, MN, Philip Schanen of St. Francis, Dominic (Carrie) Schanen of Muskego and Theodore (Lanora) Schanen of Saukville; eleven grandchildren; her sisters Barbara (John) Vander Slice of Westminster, MD, Mary Bell of Saukville, Catherine (Peter) Beckstrand of Viroqua, Martha (Steve) Stollberg of Slinger, her brothers Ron (Jeanette) Bell of Chaseburg, WI, Stan (Janet) Bell of Wentworth, MO, Steve (the late Connie) Bell of Saukville and William (Carolyn) Bell of St. Cloud, WI, further survived by sisters and brothers-in-law John �Roger� (Polly) Schanen of Naples, FL, Jean (the late Joseph) Kolkema of West Bend, Herman (Marcia) Schanen of Port Washington, Paul (Olivia) Schanen and Kenneth Schanen, both of Waukesha, Mary Bartelt of Asheville, NC, Steve (Debbie) Schanen of Grafton, Christine (John) Gregozeski of Port Washington and Glen Schanen of Random Lake, nieces, nephews, other relatives and friends. She was preceded in death by her parents and an infant brother Peter. Her Mass of Christian Burial will be celebrated at 10AM Thursday, Feb. 19 at Immaculate Conception Catholic Church, Saukville. Reverend Karl Acker will be the celebrant. Visitation will be 4-7PM Wednesday, Feb. 18 at the funeral home and 9-10AM Thursday AT CHURCH. Rosary 7PM Wednesday. Memorials to Schoenstatt Movement, W284 N404 Cherry Lane, Waukesha, WI 53188 or Immaculate Conception Church, 145 W. Church St., Saukville, WI 53080 or charity of choice appreciated.